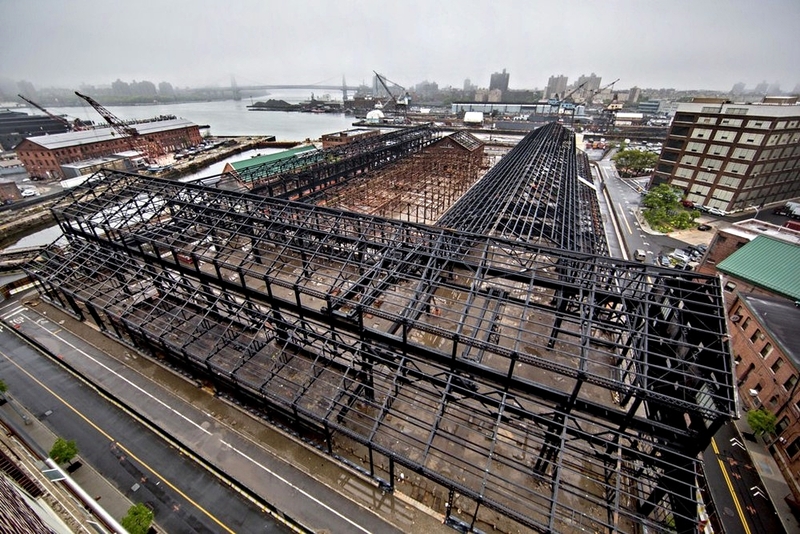 The New Lab Project at the Brooklyn Navy Yard houses a high tech green design, prototyping, and manufacturing facility. Yorke managed the 84,000 square foot interior fit out of Building 128, a shipbuilding hangar originally constructed in 1899. There are 370 tons of new steel structure added to form the mezzanine levels with steel bridges hung off existing gantry cranes to connect the levels. Mechanicals and lighting is situated high up in the 70 foot tall roof structure and a new slab with 46,000 square feet of radiant piping fprms the basis of the heating system for the large open facility.